"This should go without saying. 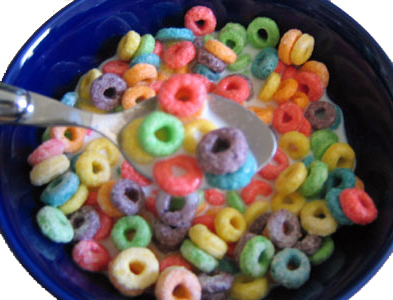 Such cereals are highly processed and full of refined carbohydrates as well as chemical additives," says Food Rules author Michael Pollan. Our health is directly linked to our environment, and unfortunately we often take the environment for granted. Recent studies have shown that up to 98% of our health is controlled by our environment. With the exponential rise in diseases like cancer, heart disease and Type 2 diabetes, there has never been a more important time to focus on our environment to improve our health. For example, we have all tried to nurse a plant back to life at some point. When a plant is sick, we automatically know to put the plant in the sun, give it enough water and make sure the soil has proper nutrients. You don’t see people injecting drugs into the stem of the plant as soon as it starts to wilt. Why don’t we treat humans like we do plants? Sunlight, water and nutrients should be the first steps to healthcare, with drugs and surgery as a last resort. As people get busier and busier, they often forget to drink water throughout the day. Being properly hydrated can help prevent and relieve a variety of conditions from fatigue to headaches, so instead of going to your medicine cupboard, drink water instead. Be sure to drink filtered water (not bottled water), from a stainless steel or glass reusable bottle. Eating nutrient-rich foods is one of the most crucial aspects of being healthy. It is necessary to provide your body with the right nutrients to avoid and prevent disease. Instead of waiting until you get sick and taking medications, why not work on improving your diet today? Remove as many processed carbohydrates as possible (sugar and grains); increase your intake of high quality fats, such as olive oil, coconut oil, butter and Omega 3’s, eat high quality protein from pastured chickens and turkeys, grass fed beef, buffalo, elk or wild caught fish. As Hippocrates said, “let food be thy medicine, thy medicine shall be thy food.” Consider supplementing with high quality vitamins too. It is common knowledge on how to care for a plant, shouldn’t we treat our bodies with the same care? As environment controls 98% of your health, look to improve your environment to improve your health. If it works for every other living thing on earth, why wouldn’t it work for us? Kehres Health Earth Day Giveaway! Happy Earth Day! 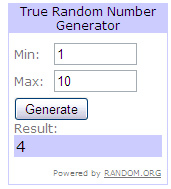 The winner is #4, Lauren, congratulations! Lauren's Earth Day pledge was: "We are going to start composting! It will also make great fertilizer for our garden." Thanks to everyone who entered and for your green pledges! To celebrate Earth Day this week, we will be giving away a 22 oz. 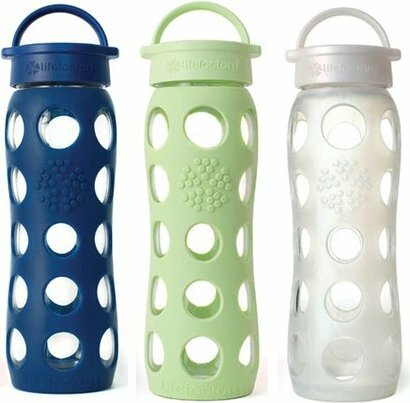 Lifefactory glass reusable water bottle! 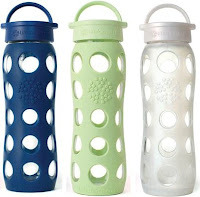 It is our favorite reusable bottle and we carry the line at Kehres Health & Chiropractic. Bottled water is a hazard to our health and our environment. According to the UN, every square mile of the ocean has 46,000 pieces of floating plastic in it. Lifefactory glass bottles are free of BPA, phthalates, PVC, polycarbonate, lead and latex offering a safe alternative to plastic water bottles. They are dishwasher safe and don't alter the taste of the liquid. To enter to win, leave a comment below with what your green pledge is this Earth Day! Are you going to stop buying bottled water, start composting, carpool to work, shop with reusable bags? We'll randomly draw a winner and will ship anywhere within the U.S. Be sure to get your entry in by Thursday as we are drawing the winner on Earth Day, April 22! #27 Eat animals that have themselves eaten well. ﻿In Food Rules, author Michael Pollan wrote 64 simple rules on how to eat. "The diet of the animals we eat strongly influences the nutritional quality, and healthfulness, of the food we get from them, whether it is meat or milk or eggs," Pollan says. When you are looking at packages of meat to buy from the store, think about where that animal came from. Was it raised naturally, or was it raised on grain, anti-biotics and hormones? The healthier the animal, the healthier it is for you. Eat like a sumo wrestler, look like a sumo wrestler! Almost everyone in the world is constantly trying to lose weight, except for sumo wrestlers. Their goal is to gain as much weight as possible and to keep it on. By studying the diet of a sumo wrestler, if someone truly wants to lose weight they should do the exact opposite of what the sumo wrestlers do. According to Dr. Wayne Callaway, obesity specialist at George Washington University, skipping breakfast can not only trigger overeating later in the day but can also cause a drop in metabolism. Be sure to not eat anything in the morning so you can slow your metabolism as much as possible, eating anything in the morning will boost your metabolism causing you to LOSE weight, which you definitely don't want to do. Drinking high calorie drinks with no nutritional value allows you to consume many more calories throughout the day because your body doesn't register the calories as fast when you are consuming them together. Be sure to drink your Big Gulp WITH your Happy Meal for maximum calorie intake. Step 3: Move as little as possible after you eat! Movement burns calories and you really don't want to do that if you are trying to gain weight. So after you eat a large meal, be sure to sit on the couch, kick your feet up and move as little as possible, or you can even go take a nap (think Thanksgiving every day). Step 4: Eat while watching T.V. Eating while watching T.V. or using the computer is called brainless eating. It allows you to eat more food before your body tells you that you are full. So be sure eat potato chips while watching T.V., and always eat meals at your desk to gain as much weight as you can. Step 5: Eat only two meals everyday! By eating only two meals a day and skipping breakfast, it will help slow your metabolism as much as possible. Avoid healthy snacks during the day. Eating two large meals a day helps your body store all the food you eat as fat. Be sure not to eat every few hours, as this could boost your metabolism and cause you to lose weight. If you are training to be a sumo wrestler and want to gain as much weight as possible, remember to follow the action steps above! 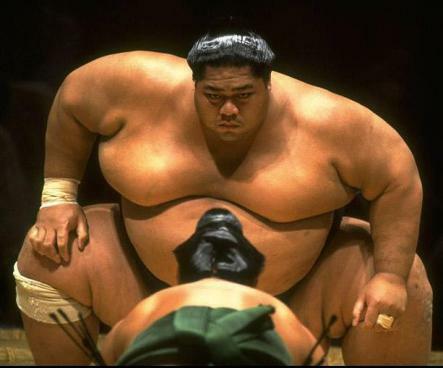 If you are actually trying to lose weight, be sure to do the exact opposite of what Sumo wrestlers do! Dr. Kehres was featured on NBC 25 providing health tips we can learn from sumo wrestlers, click here to see the interview. Q & A: Blending or Juicing? Both or either! If you are asking this question, you are obviously someone who makes their health a priority. Both are great ways to get more nutrients in your daily diet. Personally, I love blending. While juicing is great too, you lose a lot of the nutrients when juicing. Also, if you are juicing fruit, you are going to greatly increase the concentration of carbohydrates (sugar) to fiber ratio which isn't a good thing. I have done both, and I've found that the taste is similar and if you like the thinner consistency, just add more water to your blender. I think it is easier to clean up after using the blender, than it is to clean the juicer. Blending leaves all the pulp in which contains a ton of nutrients, enzymes and fiber. This helps balance out the fiber and carb ratio, making blending a better option in my opinion. Most regular blenders are strong enough to mix lettuce, spinach and frozen berries. 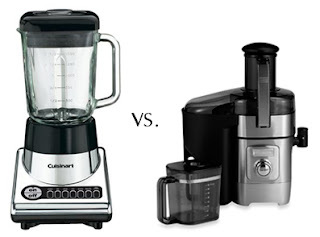 I have been using my Cuisinart Powerblend 500 every day for more than five years and it has worked great! I also use a Magic Bullet blender which is very easy to clean. If you do use a juicer, I would recommend drinking smaller quanities than you would if it was blended because of the higher concentration of carbs and the lower amounts of fiber in it. For my favorite health shake recipe, click here. Thanks for the question Eric! Do you have a question about health you'd like to ask? E-mail it to drkehres@kehreshealth.com or comment below. We first had this salad when Jen's mom, Beth, made it for us last week. It was delicious, healthy and filling. We recently made it and it was very quick and easy to throw together. Beth used the Marzetti Asian Ginger dressing, but we experimented with the recipe for homemade dressing and put together our own, see below. Did you put your own spin on the salad or the dressing? Let us know in the comment section! On TV, in magazines, on the radio; we are bombarded with health claims of what we should eat. A simple rule of thumb when choosing healthy foods, is to avoid foods that are advertised or have health claims such as "low-fat" on the packaging (the less packaging of the food, the better). Below is the second part of my list of top 10 foods that are often advertised as healthy, but should be avoided. 6. Snack bars – Just look at the nutrition label, if you can’t pronounce it you shouldn’t eat it. There is typically nothing healthy about most popular cereal and granola bars. Anything that ends in the letters -ose are forms of sugar. How many ingredients ending in -ose can you find in one of these nutrition labels? 7. “Whole” grain bread – Bread is highly touted as a health food which is unfortunate because it leads to many different health problems. When processed bread goes into your body it turns directly into sugar. When bread sits on a shelf at room temperature it goes rancid. Although I recommend removing breads from the diet, If you have a hard time giving it up completely, look for breads in the freezer section that contain whole wheat, sprouted, stone ground or steel cut wheat such as Ezekial bread, and be sure to keep in your freezer until right before you eat it. 8. 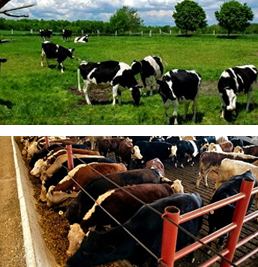 Beef and chicken (corn and grain fed) – Animals are meant to roam free and either eat grass or forage for food, when you feed them grains it makes them sick so they typically have to be given antibiotics. This causes their meat to become not only inflammatory from the grains but loaded with antibiotics. Try to find beef, chicken and other animal protein that are local grass-fed, hormone-free and pastured. 9. 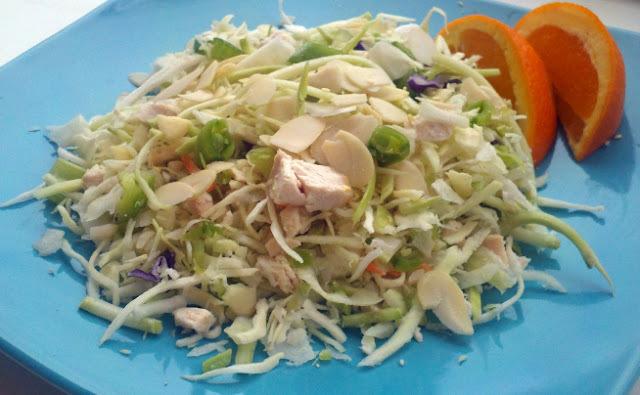 Frozen “healthy” meals – Foods are not meant to be heated to high temperatures. Having to heat frozen meals to very high temperature, such as in a microwave, typically destroys the vital nutrients in heated foods. Also, frozen foods typically contain different forms of monosodium glutamate (MSG) which is an excitotoxin in our bodies which can damage our nerve cells. Watch out for the alternative names for MSG like hydrolyzed protein, glutamate or carrageenan. 10. Vitamin Water – Is it just sugar water in a pretty package? The nutrition label of Vitamin Water shows the drink contains 13 grams of sugar per serving, but there are 2.5 servings in each 20 oz. bottle. That means there are a whopping 32.5 grams, which is nearly seven teaspoons of sugar in each bottle of Vitamin Water—nearly as much as a 12 oz. can of soda.